A mind in fast forward…. that’s what it feels like on the 2nd day of 2019. I am a list maker & a planner. But when it comes to my travel, weather & whim seem to dictate my directions. The winters keep me out of my loved mountains & either on a plane to Florida or sadly stuck at home. One weird thing about me though, is my aversion to putting something down on the calendar that’s months away. I’m still taking care of my MIL's medical appointments, so all of those appointments go down on the calendar every 6 months. Those are times I know I need to be here (they are conveniently in the early spring & late fall…so not during my travel times). I also love entries to meet up with a friend for lunch in a day or two or maybe a week away...But that’s about it. I’m almost paranoid & panicked about putting an event down for far into the future. So, when I joined Sisters On The Fly last May --which has me looking at calendars & booking events months in advance--, I’m uneasy with it all. Excited, but hesitant. At this time, I’m only signed up for two events in 2019 & one of those I may cancel. When I joined SOTF, I really didn’t think I’d go to too many events; most are in campgrounds & fee based & you have to book them WAY in advance (yikes!). There are many other advantages to being part of this group, & I’ve enjoyed those opportunities to make new friends throughout the past year. I’m also going back to attend the Girl Camper's Wonderful Women in Waxahachie event in Texas in late April & very excited to be one of the speakers there. I always have a list of places that I love, mostly in the West, & a list of new places to explore, but never anything that looks like an ‘itinerary’….just not how I go. But go is what I want to do…all the time. My long road trips generally begin in late spring or early summer, usually waiting to see when the last big snows hit the mountains & then judging where & when I can get to the places I want to hike. So, my “planning” won’t really begin until later in the winter. However, my “want list” has already begun to take shape…..
One area I want to re-visit this year, is the Pacific Northwest. It’s all wonderful! I really want to go back to some of the places I’ve been to before & to explore those I haven’t seen (Tofino!!) & do some hiking in the Cascades (the only time I’ve been there, it was still deep in snow). Maybe, on the way to or from, visit Glacier NP…I’ve only been there once & it’s amazing! I would also like to go out of the country somewhere…South America or Europe. That’s a whole different type of travel that I’ve never done & involves many challenges for me to overcome to go, but I want to make it happen in 2019. I’m still looking for a long distance trail to hike & the right time to do it…another 2019 dream. Danny & I would love to travel to see our grand girls more often…they are growing up so fast & we are missing so much. And always, I will go back to the place that has my heart, Crested Butte. It’s changing, becoming overcrowded & more restricted in ways that make me sad, but not enough to keep me away. I love the mountains, the trails, the beauty & the friends I’ve made there…I will always go back. I’m hoping to extend my travel into late summer/early fall this year too…we’ll just have to see how it all goes. In 2018, I traveled a total of 158 days…probably more than I ever have in a year. I’m hoping to go for even more days in 2019. 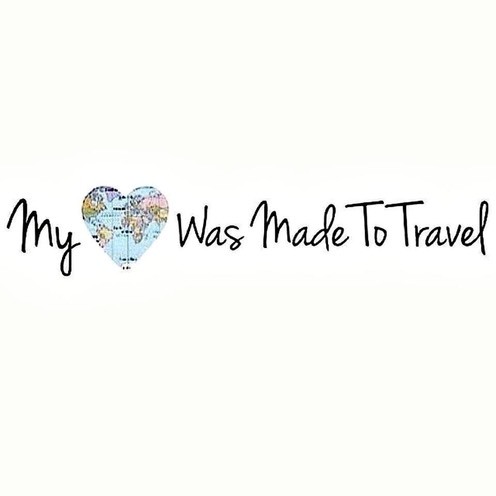 So, there are trips on the calendar already & ideas zooming all around in my mind….travel is my favorite thing to think about! Here’s to a wonderful travel-filled 2019…May all our wishes come true!